B. If I should get the PS2 or PSP version. One of my friends raves about this game, and another person I know is also a fan of the franchise. I hear it has good gameplay and a cool date/social simulator type aspect for leveling up and making your characters stronger. However, I'm squeamish about M-rated games and I also really don't like games that heavy handedly make fun of religious people. While I myself am not religious, it leaves a bad taste in my mouth when people take the approach "lol, you belief in god, you must be so stupid', and I've heard that Persona games do that, a lot. 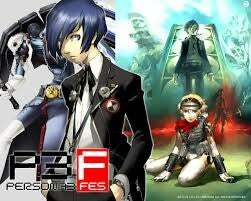 That being said if Persona 3 is worth it then which version should I get? I have both a PSP and as PS2 that I use regularly, and based off of my last check both games are about the same price. I tend to play more portable games since I don't get much crack at the TV, and I've heard the PSP version has more expanded content. But I also like games with voice acting. So what do y'all think?